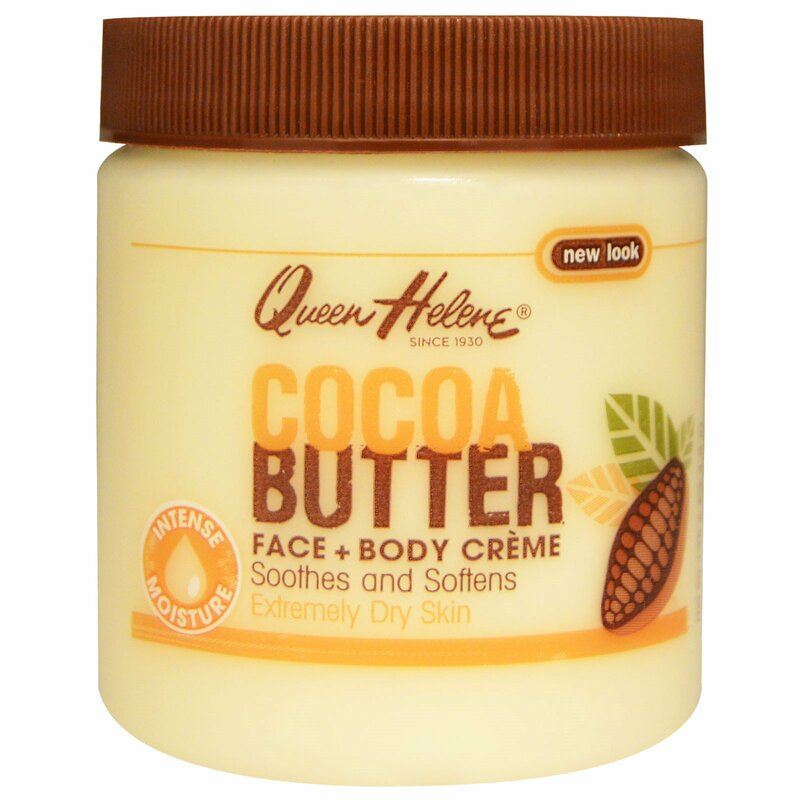 This luxuriously rich, non-greasy creme blends cocoa butter and lanolin to quench and relieve moisture-starved skin. Protects from dryness caused by over-exposure; helps diminish the appearance of wrinkles; and soothes discomforts of stretched skin during and after pregnancy. Massage a generous amount to hands, face or body. 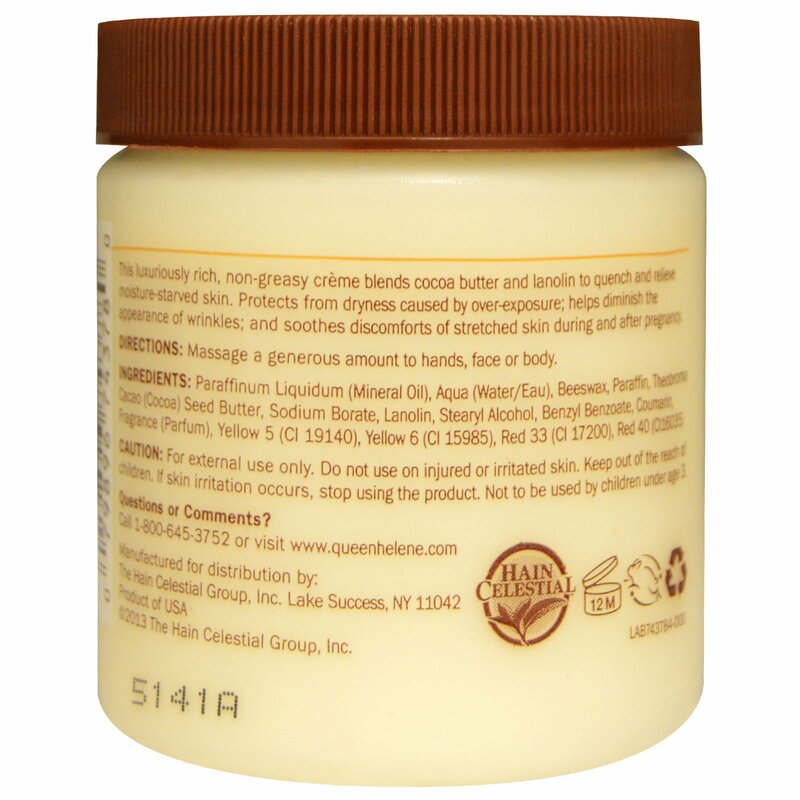 Paraffinum liquidum (mineral oil), aqua (water), beeswax, paraffin, theobroma cacao (cocoa) seed butter, sodium borate, lanolin, stearyl alcohol, benzyl benzoate, coumarin, fragrance (parfum), yellow 5 (CI 19140), yellow 6 (CI 15985), red 33 (CI 17200), red 40 (CI 16035). Caution: For external use only. Do not use on injured or irritated skin. Keep out of the reach of children. If skin irritation occurs, stop using the product. Not to be used by children under age 3.